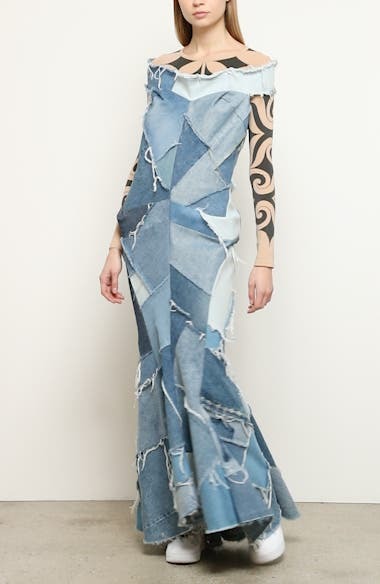 Riffing on what he calls 'a romantic feeling in rock music,' Junya Watanabe makes everyday denim look glam on this mermaid gown pieced from mixed-wash panels. Choose a sizeTrue to size. XS=2-4, S=6, M=8, L=10.